Thanks again for making time to work with Oliver last week, I'm seeing a HUGE improvement already. My neighbors used to roll their eyes when they saw/heard him coming since he was barking continuously and now they are all asking "who is this dog, this can't be Oliver" and "how did you do this??". When approaching strangers and hearing noises in the hallways and outdoors he is looking to me for cues instead of automatically barking. I'm so grateful for your help and extremely optimistic that my formerly noisy rescue dog is becoming more trusting and friendly. Thanks again from me and all of my neighbors!! I'm going to give him some time to absorb all of your suggestions and then will reach out to you for a follow up to learn even more, thanks again. I wanted to drop you a note, to let you know how encouraging and helpful Buzz and I found your Complete Guide on Barking and Separation Anxiety! I found myself going back to the guide countless times in trying to help Buzz (and my neighbors). I found the most insightful point about the relationship between barking and separation. 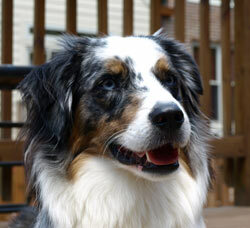 The more I worked on barking, the better Buzz was at handling separation. I had worked with "sonic" bark sensors, a citronella color, etc...but following the steps you outlined, has finally enabled me to leave the house! As the commercial says, "Priceless". 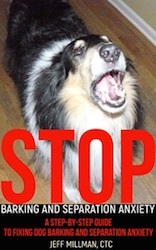 Your Barking and Separation Anxiety EBook was so helpful! I have been thinking about sending you an email about it. But you beat me to it. Thanks for the follow up. I could do a one-word review of your book: SUCCESS! The book was easy to understand, simple explanations. Excellent job reiterating information to explain things a different way or drive home an idea. No fluff - just getting it done. This was the impression I had from your website, so I was not surprised by the effectiveness of your writing. But the test I suppose is whether my dog is any better off. To that I give a resounding YES! (I considered the clicker and decided to go with the voice.) 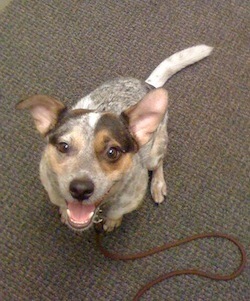 I began the training as soon as Artie barked, and I quickly discovered his appreciation for treats. I knew this before, but did not realize a treat could cut thru a panic bark. I was totally convinced of your training expertise when after just 24 hours of yes/treat, I got this result: Artie was across the room when a neighborhood dog howled in the distance. He immediately looked at me and came for a treat without barking. My wife saw this happen, and both of our jaws hit the floor. It's been one giant train-a-thon. We work at home, so i can train him a lot thru the day and we're getting really fast results. He did some tricks before, but your book showed me how to harness his learning power and thought process to make him a calmer dog. My entire household is calmer now. Best $7.99 I ever spent! As you suggest, I'll be revisiting the book on my iPhone as Artie hits plateaus or new situations. But for now I'm riding a wave of dog training euphoria. So, please know that your work and experience is making lives more enjoyable, peaceful, and QUIET. Thanks Jeff â€“ Life is good! We were immediately impressed by Jeff. He took the time to understand Jackâ€™s issues, to develop strategies to resolve those issues, and to work with us, step-by-step, on training exercises that encouraged positive behavior rather than penalized negative behavior. Jack responded quickly to Jeff's approach. 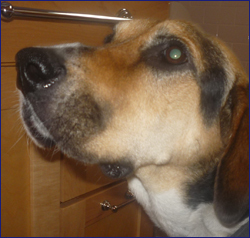 From week to week, Jackâ€™s general stress level seemed to diminish and overall (not just in response to his anxieties), he became a calmer dog. By the end of our second session (of four) with Jeff, Jack had made such great progress that we were able to address other issues, like leash pulling, that we hadnâ€™t anticipated working on with Jeff. We spent almost the entirety of our final session with Jeff working on mental stimulation exercises (e.g., differentiating between toys) and less on working on behavioral issues. We are confident that Jeff has well-equipped us with the tools to continue to achieve positive results with Jack. Particularly we are grateful for the effectiveness of Jeffâ€™s philosophy to use positive reinforcement / association rather than physically or mentally penalizing unwanted behaviors. Jeff has remained responsive even after our sessions ended and continues to be a much appreciated and valuable resource. We highly recommend him. Your training techniques are GREAT with 100% positive reinforcement. Chloe being 1-1/2 years old, used to beg for food, eat everything off the ground during walks, barked at other dogs, got distracted easily and was not potty trained. Now, after your training she is fully potty trained, no longer bothers us while we eat and is very trained during her walks. We recently adopted Doug, our 3 year old pug who had no previous training and barely knew his own name. Now, after your training Doug is very alert, listens to all his commands and knows how to sit, down, stay, give paw and so much more! 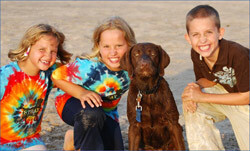 You not only taught our dogs basic training skills, but you taught them life skills. You taught them how to be patient and get along with each other which is one of the best things we could have asked for! You were great with scheduling appointments and are extremely flexible. My husband and I both work and have very busy schedules and you were able to accomodate us. You would come during weekday evenings and even on the weekends! I think it is great that you offer in-home training where our dogs are in their own environment where they are most comfortable. Thank you so much for all of your hard work. You can really see your passion for training and it shows how much you care about making peoples lives happier by training their dogs to their specific needs. Thank you so much!!! Doug and Chloe say HI! 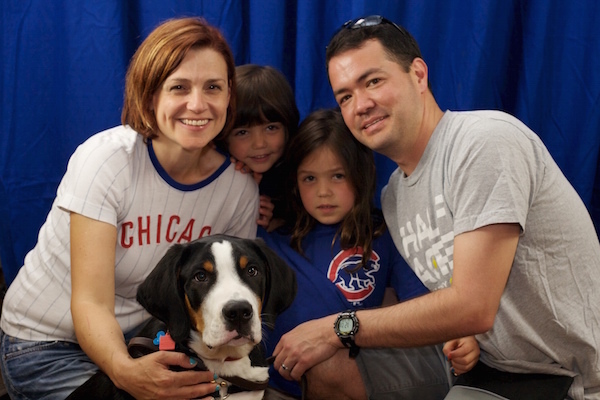 Jeff's knowledge and experience is vast; from dog food ingredients, to training tips, to Chicagoland canine friendly organizations. In "training" us (the humans), he gives directions clearly, explains why we are doing what we are doing, and is patient when we ask him to repeat certain steps. On the canine side, it's clear that Jeff loves dogs. 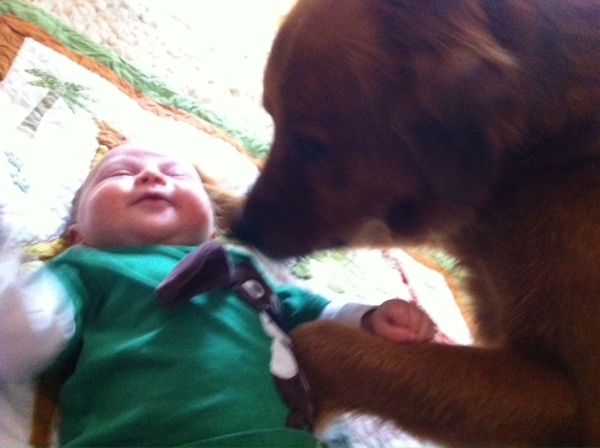 There seems to be the right amount of play and work when he comes to work with our dog, Sophie. He makes her work for her treats, but can also assess when she might be getting frustrated and we need to take a break or move on. 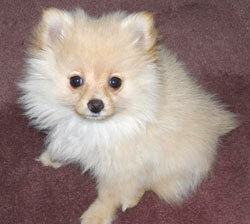 We got our dog Lily when she was three months old. Our six year old daughter had been asking since she learned to talk for a dog, my wife and I last owned dogs as teens, so we thought it important that we all learn how to handle Lily. I thought it would be enough to up for training at a pet store chain near our house. After three lessons of sit, stay and leave it with a terribly distracted Lily, I started to research other trainers online. I came up with a list that included Chicago Paws and Jeff Millman. A couple of days later my wife came in from a walk and mentioned a women she talked to on the street with a well behaved young dog who said her dog turned around in a few days after she started working with Jeff. I figured that was good enough for now so we called Jeff to train our dog. Lily took to his instructions immediately and it was also then we first realized that it wasn't just the dog that needed training, but was our family that needed it more. 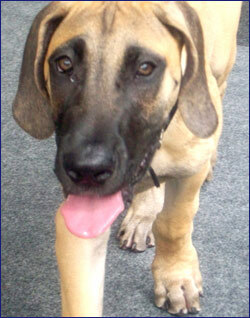 We learned to turn situations that use to be problems into training opportunities for Lily. Lily's biggest problem was getting too excited and jumping on guests coming to the house strangers who wanted to say hello. It took about two minutes for Jeff to show us and Lily how to correct that behavior. 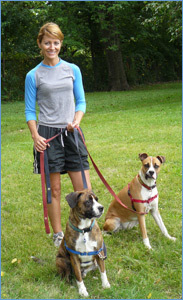 I've used the dog training Sense-ible harnesses for several years now to help folks learn loose lead walking. They are magic with a puller / lunger. It is always immediately apparent to the handler of a puller that the harness works amazingly well. The harnesses make me "superman" in the eyes of my clients. And it's simple, common sense! You assured me that working with the girls would certainly help and curtail the spoiled behaviors and the anxiety -- When I didn't get the results that I really wanted, and quickly, I became lax about the training. I really thought it was a quick fix to have you help us â€“ I let it go for a while and called you again. I knew that the reason I didnâ€™t get results is because I was not practicing the tools that you shared with us. The separation anxiety subsided, but we still had issues with the demand barking. I just couldnâ€™t let it go and made the commitment to work hard with the girls to help them get over the demand behaviors and only responding to me when they felt like it. You began to work with the girls and me again, at their ages of three and four, and it is tremendous how they have really excelled. You responded to all of my questions, concerns and wanted updates on the girls progress in between sessions. You have a gift in how you convey the lessons both to me and in how you work with the girls. You really took an interest in the girls and how well they were doing and this is so important. You really have a connection with the girls and I know they have enjoyed working with you. You truly are dedicated to your work and helping to achieve training goals. Even during the times that the girls regressed or needed a little push to learn their lessons for the week, you stuck with us. We thank you for everything. 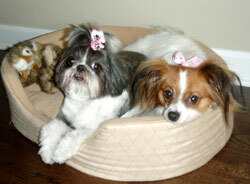 The girls look forward to continuing to work with you - they get so excited when I tell them it's time to "Practice!" They have come such a long way - and I am so happy with the results! Jeff is patient and incredibly knowledgeable. It is obvious how much he loves what he does. He taught us to identify triggers in the environment and how to stop her anxiety before it starts. Jeff uses only humane methods for training dogs. Margie absolutely loved whenever Jeff came over! He has taught us strategies we will continue to use with Margie for years to come. We literally feel like we have a different dog now. 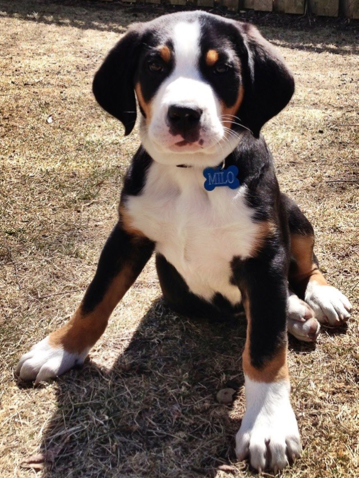 I have been meaning to follow up with you to let you know Caesar is doing very well. Nick has not been traveling over the last few months, and Caesar is a different dog. He is calm, not growling at people and plays well with other dogs. Don't worry - when I walk him alone, I never let him get close to another dog (just because there is no reason to take unnecessary risk). It was imperative that he would walk calmly on a leash with my children and he does now ~ which is nothing short of a miracle. Even though Fetch weighs more than each of my children, they can easily walk him down the street. 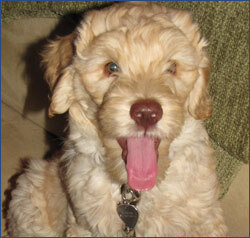 Only with your help were we able to manage Fetchâ€™s behavior during his crazy puppy hours. Your simple, straightforward insight made a world of difference in our home and we are grateful! We have done training with Jeff for the past few months, and I canâ€™t believe the difference it has made with my two dogs, Sammy and Tobey. 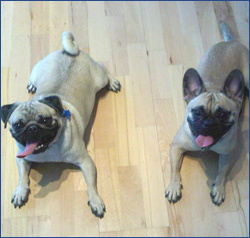 They are both around one year of age, and filled with an extraordinary amount of exuberant energy! Sometimes it gets the best of them, and I have had challenges with leash walking, basic commands and over-excitement around other dogs. I had worked with another trainer in the past, and unfortunately some of that individualâ€™s methods leaned towards physical punishment. 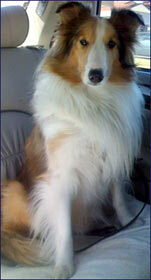 Over time, this training exacerbated Sammyâ€™s excitement around other dogs, turning it into frustration and aggression. Leash walking became a nightmare, as she (and sometimes Tobey) would lunge and growl at any dog we encountered. 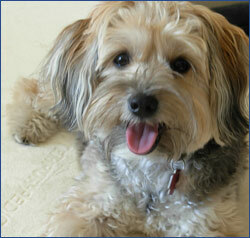 Jeffâ€™s positive reinforcement method made a difference within two training sessions. It was hard to believe, but in a very short period of time, Sammy reached the point where she could see another dog, and calmly turn and look at me. There are still times when she will hop up and down to get closer, but now itâ€™s with excitement to go play instead of aggression! 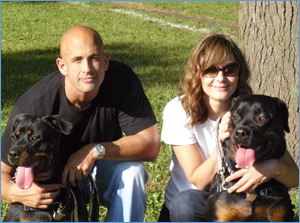 I would not hesitate for a moment to recommend Jeff as a skilled and caring trainer for anyoneâ€™s dog, no matter the sort of behavioral challenges you might be facing. I just wanted to drop a note to give you an update on Sammy and Tobey. Itâ€™s now the exception, rather than the rule, that Sammy shows any leash aggression. She is able to greet other dogs on our walks. Sometimes she gets a little too playful, but it is very rare now that she will growl and lunge. She is playing nicely with dogs off leash again, and we played with several dogs over at Hamlin Park yesterday. Tobey is doing better with other dogs as well. Itâ€™s so amazing to walk now without all the stress of running into other dogs! Jeff has been a great trainer and very patient with my puppy Baylee and with me. There are lots of things going on when a puppy is 8 months old and I didnâ€™t know where to start. Jeff came in with teaching plans that were perfect for our situation after only a short phone interview. Baylee made real progress and continues to do so even after â€œgraduation.â€ I would recommend him to anyone! As always, you were very kind and gentle with Toby and Louie. We were amazed at how they responded to your teaching commands! One of the most important skills you taught us was the correct use of positive-reinforcement with the clicker. Thank you again for your guidance and training. 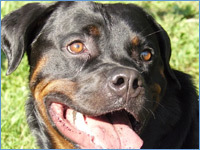 We would highly recommend you to anyone who is considering training or behavior counseling for their dog. 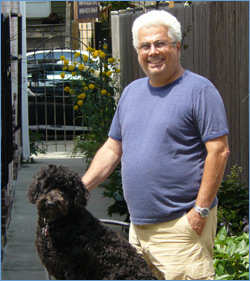 I retained Jeffâ€™s services for personal training of my then 2 1/2 month old Portuguese Water Dog â€œChimiâ€. To say I was blown away by the results would be an understatement. 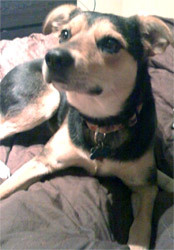 Eight months later and Chimi is just the most delightful dog I could have hoped for. After reviewing some of the Watch and Train videos, what I found was the same high level of training instructions and tips as from Jeffâ€™s one on one personal sessions. I can not recommend Watch and Train highly enough, it is a great program and a bargain to boot. What really made Jeffâ€™s personal classes such a success for Chimi and me was more what Jeff taught me as opposed to what he taught Chimi. This is very clear in both the videos at WatchandTrain.com and Jeff's private instruction. Without that knowledge (and that is what you get from Watch and Train), I could not have carried on the instructions and reinforcement. Training a dog is process and Jeff has defined and made that process easy to understand and use. 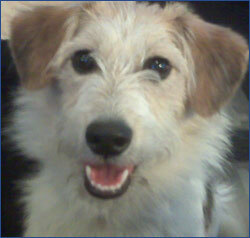 Chimi is my 5th dog and the first that has benefited from professional training. She is still a puppy at 10 1/2 months but is much better behaved and reliable than any of my previous dogs in their mature years. In the spirit of Thanksgiving, we wanted to thank you so much for helping us with Logan. I was in such a panic 2 months ago and you have made all of our lives better. I know we have a long way to go and we feel so confidant with your guidance. I hope you and your wife have a wonderful Thanksgiving! 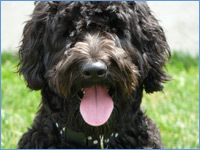 Visit Jeff's puppy and dog training video site for FREE dog training videos, separation anxiety and barking EBooks and products.